Landscapes are thematic regions of the Pennsylvania Wilds, each with their own character and unique, place-specific experiences. Our Journeys are the many roads & byways & trails & waterways that connect our landscapes and inspire your exploration. The Trails at Jakes Rocks is a new stacked loop mountain biking trail. This 30+ mile trail was developed in partnership with world renowned trail development company, Trail Solutions, sister company of IMBA (International Mountain Biking Association). 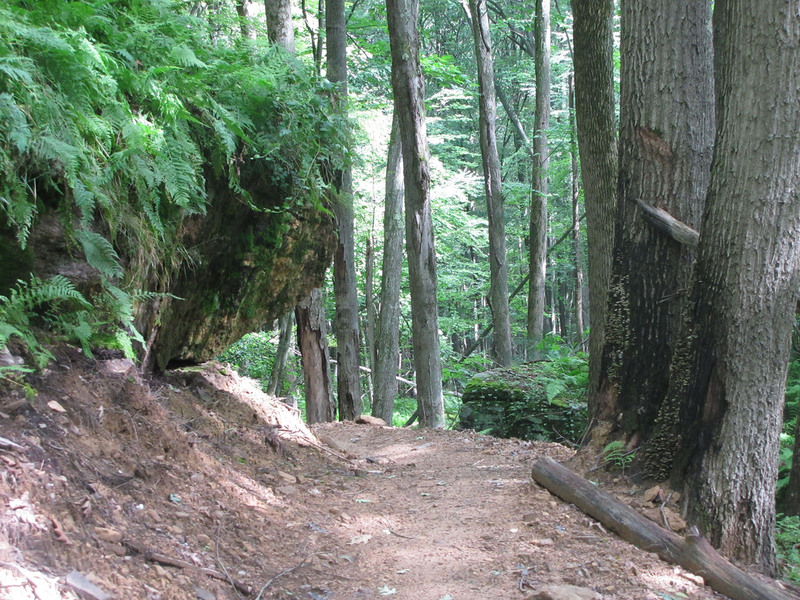 Located off of the Longhouse National Scenic Byway in the Allegheny National Forest, the Trails at Jakes Rocks is 30+ mile is an expertly-designed, adventure mountain bike trail loop winding through natural boulders and scenic forested landscape. Volunteer trail developers have received addition funding for continued expansion of new trails with additional mileage. With segments of varying skills levels, this premier mountain biking trail system will bring thousands of visitors to the ANF. What do riders have to say? Mountain bicycling is one of the fastest growing outdoor recreation activities around the world! As mountain biking continues to grow as a major activity on public lands, clear trail management strategies are needed to ensure continued recreation opportunities and protection of natural resources. The Trails at Jakes Rocks hold regular volunteer work days to maintain the trails. Fill out this form and tell us a little about yourself so we can provide you with upcoming events and news that are hand-picked for your interests!